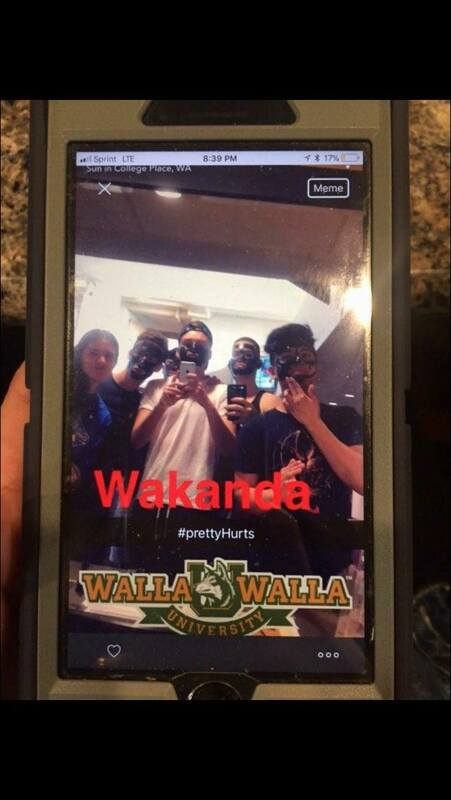 A Seventh-Day Adventist university in College Place is investigating a photo of alleged Walla Walla University students participating in "blackface." The picture sent on Snapchat has a Walla Walla University emblem filter. In big, bold red text it says "WAKANDA." Wakanda is the fictional setting in the Black Panther universe. The students pictured have black make-up or paint on their faces. You can see the image here.